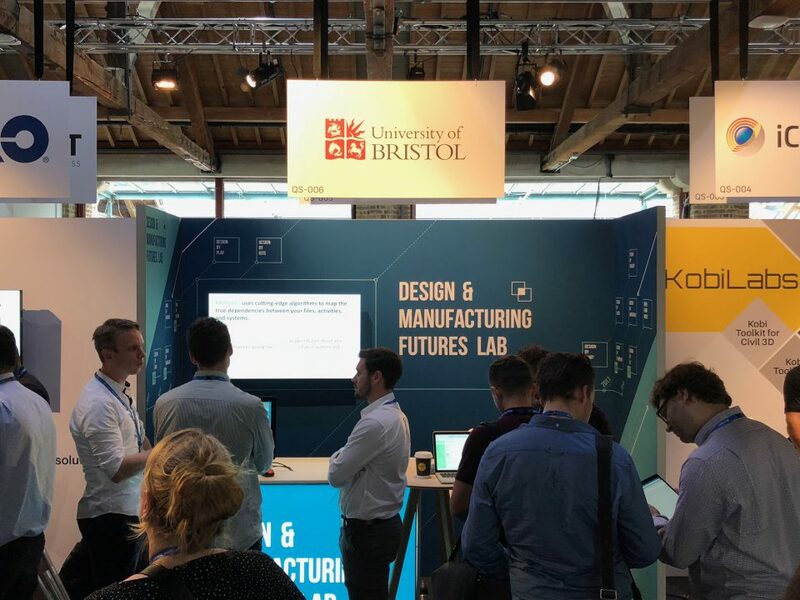 The DMF Lab were invited to exhibit our ‘Design By: X’ and ‘Make By:X’ tools and technologies at Autodesk’s annual UK/European conference. The event at a Tobacco Quay was held between June 19th and 20th and hosted exhibits from all major software vendors and training sessions on Autodesk products. We received over 200 visitors to our stand and are now following up potential leads from new projects to case studies and consultancy. 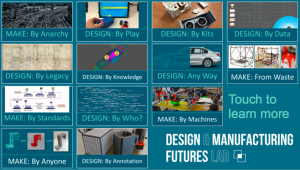 Many thanks to Autodesk for organising such a first class event and to all those who visited us at AU London. We hope to see you again next year! Please do not hesitate to contact us about any of our projects or any ideas that you may have.